This season, put a stamp of approval on your own style by rocking pieces like this Francis bow tie. Our brand has added a playful twist to the otherwise plain and traditional bow tie by creating the main portion out of quality handcrafted wood. And there’s no doubt this Rosewood and green floral combination is guaranteed to set you apart. 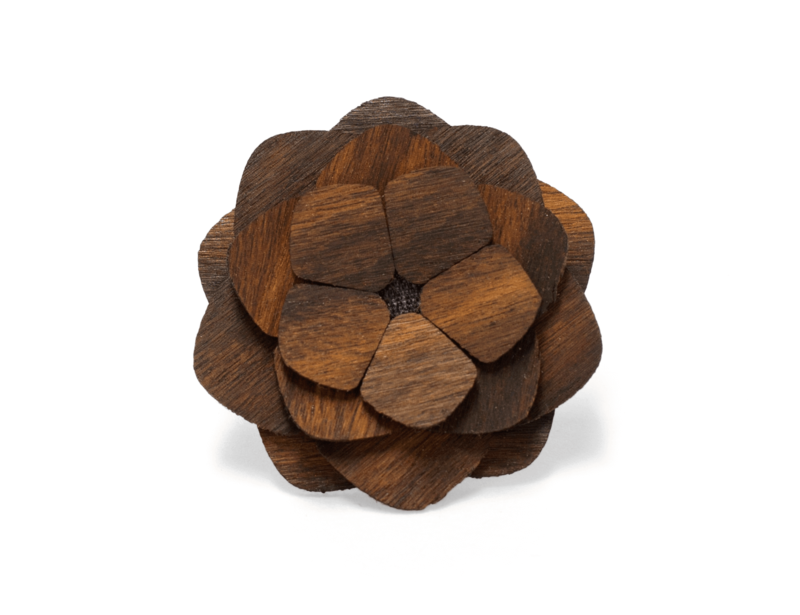 The warm-tone within the wood grain makes a perfect gift for any man who appreciates quality and has a bit of personality to match. The green floral pattern also makes for a great summer style accessory, whether it’s the centerpiece of the bow tie or a pocket square accent. Regardless of your preference, you’ll be eager to know this three-piece combo is being featured as September’s Box Set of the Month. 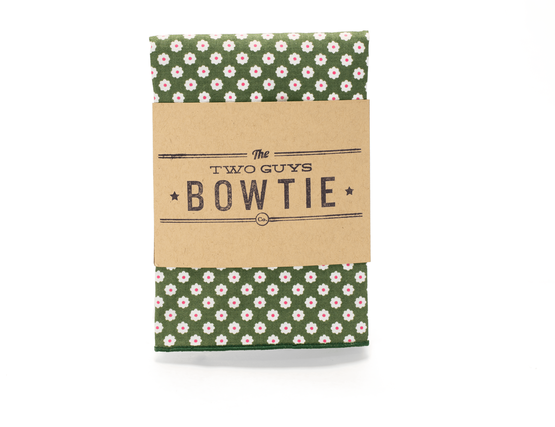 This includes: the “Francis” bow tie, the “Yorktown” lapel flower and the Green Floral Fabric Pocket Square. You can find the Francis bow tie here: here. The Yorktown lapel flower here: here. The Green Floral pocket square here: here. You can also find the complete combo here: here. For the next 30 days, this highly favorited set is 15% OFF. Simply add your three matching items to checkout and use the Promo Code: SEPT15 at checkout. Each bow tie you see on our website (www.twoguysbowties.com) is handcrafted by our team of expert craftsman right here in Tulsa, Oklahoma. Our wood shop and store-front are both located Downtown at 623 S Peoria Ave.